Just 68 miles from Denver, this is Locals-land. Arapahoe Basin, affectionately known as A-Basin to devotees, is a simple place to ski and snowboard. It’s easy to get on and off this mountain; the snow season seems to linger longer here; and amenities are affordable and straightforward—just like the area’s infamous Bacon Bloody Mary, deliciously “just enough.” Skiers who seek out steeps always appreciate A-Basin: Pallavicini lift delivers riders directly to the vertical delights, but there are chutes, glades and bowl skiing too. No springtime day at A-Basin would be complete without an après-ski session at the base’s happy-go-lucky “beach.” Think good barbecue, tunes and vibes. Season’s best: One of the only major terrain expansions in the country, A-Basin is adding 468 new skiable acres over the next two years. The most extreme, hike-to sections open this season. The Aspen Snowmass umbrella includes four distinct mountains—Aspen Mountain, Aspen Highlands, Buttermilk and Snowmass. The sheer variety of terrain is as stunning as the glam town of Aspen itself. Featuring classic steeps, Aspen Mountain is an alpine slick kicking up right from downtown. Nearby Highlands is synonymous with big-mountain skiing in see-forever bowls and hike-to terrain, while Buttermilk is a welcome retreat for beginner skiers, as well as pipe and park fanatics who want to ride where Winter X Games pros gather each year. Families and friends interested in endless options—and the most vertical feet in the country—will be sold on an all-day adventure at Snowmass. Season’s best: Snowmass’s brand-new Breathtaker mountain coaster opens for winter rides, and the local event lineup gets bigger—the U.S. Grand Prix Olympic qualifier and 50th-anniversary celebrations all season long. If you like your ski experience refined, Beaver Creek, just past Vail, does winter sports to the nines. While the 1,800-acre mountain boasts an exquisite mix of terrain, including the prestigious Birds of Prey World Cup alpine run, it’s the extra amenities that always charm. The tally includes an Old World base village with luxurious lodging; gourmet slopeside dining; heated walkways and homemade cookies; plus signature White Glove guest services, ranging from an exclusive first-tracks program to snowshoe, wine and dinner tours. Beaver Creek does the details so guests get a break. Season’s best: The designated 200-acre Red Buffalo Park mountaintop learning and adventure zone debuts this season, complete with its own high-speed lift, 13 trails and family-friendly amenities. If you’re jonesing for variety, look no further than Breckenridge. Pick a peak—there are five—and explore more than 2,900 skiable acres and 11 bowls via 34 lifts, including four high-speed, six-passenger lifts. Filled with pro-designed terrain parks and a 22-foot superpipe, “Breck” is also a big hit with those who like rails, rollers and, well, big hits. On this front alone, the resort regularly ranks among the best in the world. But beginners are welcome, too. Ski school and the Breck Bombers program are churning out little rippers. To experience this winter wonderland further, head to après-ski in historic downtown, connected to the mountain via gondola. Season’s best: Oh, goody! The Falcon SuperChair transitions from a quad to a high-speed six-seater for an accelerated ride up Peak 10. 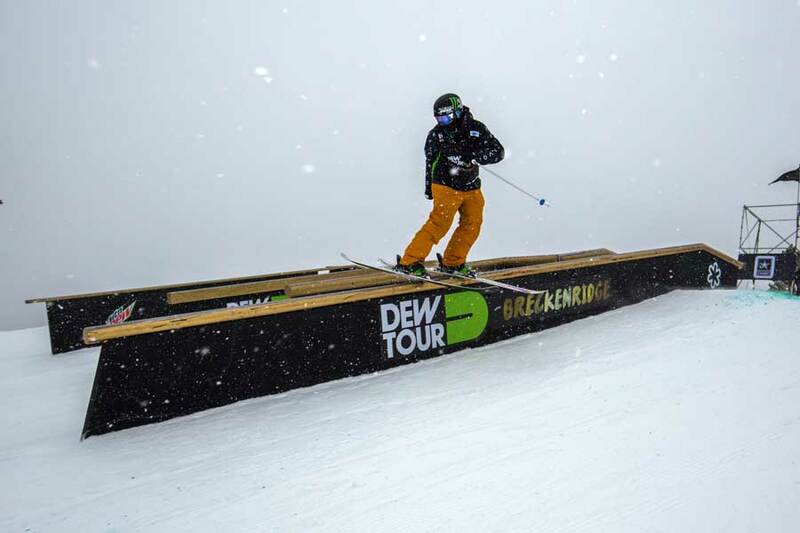 Also, in its 10th season at Breck, the Dew Tour visits as an Olympic slopestyle and superpipe qualifier. The storied 10th Mountain Division troops first used Cooper as its winter training grounds. No wonder Colorado’s alpine history runs deep here. So does the snowfall and attachment many families and beginner skiers have to Cooper’s ease, affordability and unaffected atmosphere. An intimate 400-acre hill outside the raw, high-altitude mining town of Leadville, Cooper is the perfect place to learn to ski on gentle, wide-open slopes. That said, up on the ski area’s adjacent national forests, experienced skiers can backcountry in 2,600 acres of powder bowls and glades with the longstanding Chicago Ridge Snowcat Tours. Luckily, the base area’s iconic Irish pub, with live music and a full patio, awaits after a hard day in the mountains. Season’s best: Starting in January, try a Moonlight Mountaintop Yurt Dinner the first Saturday of the month, or plan a New Year’s visit when the resort celebrates its 75th anniversary with a torchlight parade and more. Copper Mountain is all about access. 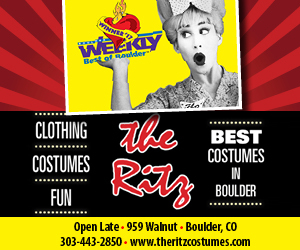 It’s a breeze to get to: straight west of Denver and right off Interstate 70. A free parking and shuttle system drops skiers slopeside in minutes. Three base-area villages stage amenities at the bottom of terrain that’s naturally divided in difficulty. Head to the west side for lessons and progressive beginner slopes. Trails gradually become more challenging as you head east on the mountain. In between, there are plenty of places to tackle terrain-park tricks, big-mountain riding in the back bowls, even off-mountain indoor action-sports training at Woodward Copper. Season’s best: Joining the statewide alpine-ride revolution, Copper’s year-round Rocky Mountain Coaster debuts this season. There’s also a new lift and casual lodge in the beginner-friendly West Village, plus three new restaurants in Center Village—Toast & Co., Downhill Dukes and Ten Mile Tavern. 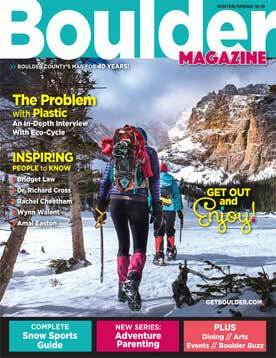 Crested Butte is quintessential Colorado. Last season, this diehard ski town, tucked away in southwestern Colorado, rejoiced in the most epic snowstorm in its storied history. This is the storybook destination you go to when you want to get away from the hustle. The mountain is a slick mix of legendary extreme-alpine terrain up top, right down to wide-open cruiser runs and base-area terrain parks for kids. A free shuttle runs from the base area to downtown, delivering visitors to a deliciously eclectic, immaculately preserved community center, always with a nod to the Butte’s rich history and colorful residents. Season’s best: Beginner kids get a treat on recently regraded teaching terrain, while new adult skiers now have their own practice area. For those looking to learn the nuances of extreme terrain, like the notorious North Face, now there’s an inside track: CB North Face Guides. Mini but mighty, historic Echo Mountain is the closest public ski hill to Denver—just 35 miles west of downtown. Located outside the mountain enclave of Evergreen, Echo is perched on Squaw Pass, leading to Mount Evans and the highest paved road in North America. With just one lift, two mini terrain parks and a tree-skiing trail, this is locals’ skiing at its finest. The mountain stays open at night, welcoming kids and adults for after-school or after-work laps under the lights and the stars. A cozy reimagined lodge, diner and ski rental facility are all steps from free parking. Under new management, Echo may just become Front Rangers’ new favorite place to play. Season’s best: Now there’s better access to tree skiing and a brand-new magic carpet to help beginner skiers and assist with lessons. Inextricably connected to Boulder County communities, Eldora, just up the canyon in Nederland, is the place where locals learn to ski and make powder-day memories to pass on to the next generation. While the resort already has a bit of everything—a serious ski school, friendly mix of terrain, easy access via RTD Ski-n-Ride from downtown, free slopeside parking and a Nordic center to boot—there’s more to come. The ski area is eyeing expansion plans, and with new ownership additional upgrades are sure to be part of the package. Season’s best: The new six-person, high-speed Alpenglow Express lift cuts the ride time to powder stashes from 15 minutes to just 4. Just 90 minutes from the Front Range past Winter Park, Granby Ranch has introduced a fresh concept to the Colorado ski-industry landscape: a year-round outdoor-sports and residential community. Super family-oriented with a single base area and affordable offerings, Granby Ranch is an intimate, convenient place to learn to turn. But locals love other features, too: six progressive terrain parks, night-ski evenings and two growing Nordic skiing networks. Season’s best: In addition to expanding its cross-country ski trails, Granby Ranch has tapped ski legend Chris Anthony to take its snow school to a new level. Ask any Coloradan which resort raises the bar for family skiing and Keystone will inevitably make the top of the list. Here, high-quality learn-to-ski programs are elevated alongside an expansive off-slope free activities program called Kidtopia. Did we mention family ski and ride zones, gear wagons, kids-ski-free lodging deals, an ice-skating pond and the oversized snow fort? Yes, indeed. To help guests navigate more than 3,000 skiable acres, Keystone has taken to dividing its offerings: Decrum, North Peak, The Outback, A51 Terrain Park and Cat Ski are yours to explore. Season’s best: The popular Montezuma Express Lift upgrades to a modern six-passenger ride, getting guests to their favorite intermediate and beginner terrain faster. Also, with a big renovation, The Inn at Keystone will be rebranded as Hyatt Place Keystone. So close in, Loveland is just so, well, lovable. This mountain is filled with rich history, super views, amazing access and a locals’ vibe that rivals any ski area in the state. Just 50 miles west of Denver, this stunning mountain rests atop the Continental Divide’s see-forever slopes. Serious skiers trek to The Ridge to take advantage of the best alpine vistas and wide-open runs. 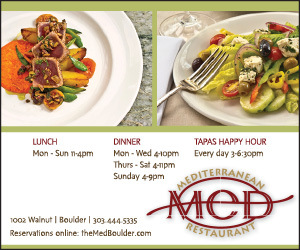 Looking for a memorable way to mark a visit to Loveland? 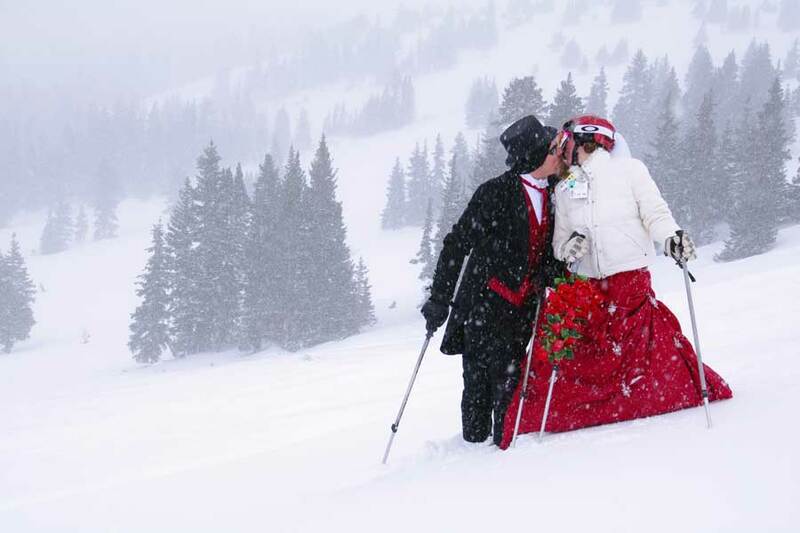 Go on Valentine’s Day, when the resort stages its ever-popular mass Mountaintop Matrimony ceremony for new couples and skiing pairs who want to renew their vows. Season’s best: In celebration of its 80th anniversary, Loveland will offer its first-ever snowcat skiing experience in the mountain’s Dry Gulch area. Monarch Mountain is becoming increasingly interesting to Front Range folks looking for an occasional alternative to the weekend I-70 rat race to the mountains. Cushioned in a snow-blessed corridor of south-central Colorado, near the artsy and outdoorsy town of Salida, Monarch serves up skiing the way it used to be. There’s no real estate on the mountain, just free slopeside parking, a special mix of terrain for all abilities, and access to one of the state’s top backcountry snowcat skiing adventures. Season’s best: Technology improvements like better cellular service are finally bringing this geographically challenged mountain up to speed. Did you know you can ski on the world’s largest flat-topped mountain? Only in Colorado! Family friendly, locally loved, Powderhorn ski area is perched above the city of Grand Junction on the state’s slow-paced Western Slope. The wild mashup of topographies in these parts means it’s entirely possible to ski in the morning and play golf in the afternoon. A recent flurry of capital improvements from new owners is helping Powderhorn maintain its reputation for great terrain—vast beginner and intermediate areas complemented by classic glades, bumps and boulder fields—while stepping up with new on- and off-slope amenities. Season’s best: Watch for an expansion in—and better access to—the resort’s famous tree-skiing areas. The name may sound ominous, but Purgatory resort is beloved by residents and visitors alike. A pearl in Colorado’s southwestern corner, this ski area is known for its low-key atmosphere and varied terrain on more than 1,500 acres. But things are changing here too, with an infusion of new lodging and lifts. Purgatory is big on alpine alternatives, like dog sledding, tubing, cross-country skiing, ice climbing and snowmobiling. And, since Purgatory is just 25 miles from Durango, skiers have tons of fun options for après-ski. Season’s best: The new 4,000-foot-long, eight-switchback coaster is ready for winter, plus there’s expanded intermediate and expert terrain; new tree skiing; and a helpful loading zone off the Needles chairlift for quick terrain-park access. Silverton will always be in a category of one. No one takes this single-lift–served backcountry-style ski area lightly. It’s advanced and expert-only territory, à la expert guides, helicopters, avalanche beacons and even snow snorkels. Powder clearly abounds in this town, and Silverton’s slick heli-skiing operation gets guests to the thick of it on some 22,000 acres. If you have the skill and want the winter memory of a lifetime, book an adventure at this stunning snow-drenched mountain deep in southwest Colorado’s dramatic San Juan Mountains. 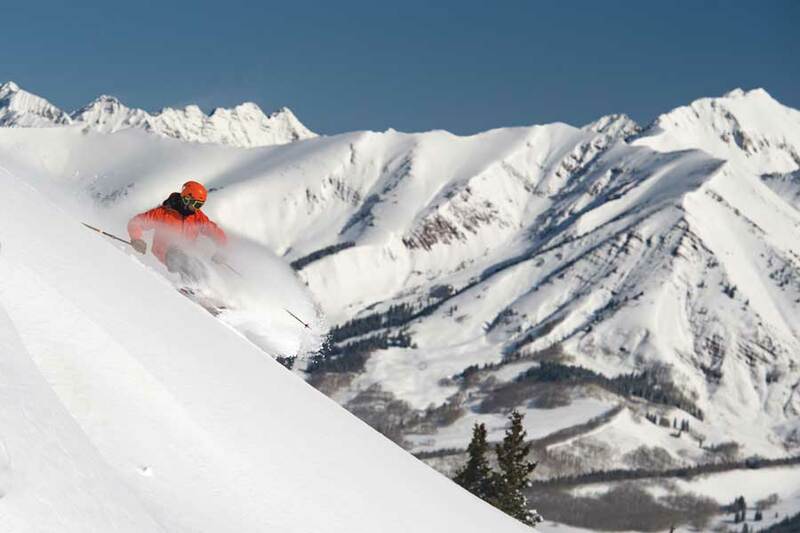 Season’s best: Silverton has partnered with 10 other resorts on the Unguided Spring Pass, which includes six of the best days at Silverton and three everywhere else, for just $169. If you’ve never had a “Champagne powder” hangover, turn those skis toward Steamboat. We promise, it’s worth it. The impossibly fluffy snow that falls on this northwest Colorado mountain is only part of the reason why more than 80 Winter Olympians have made Steamboat home. A diehard winter-sports community overlaps a rich ranching heritage that keeps things interesting in this evolving mountain town. The mountain is 3,668 vertical feet and nearly 3,000 skiable acres on six peaks with 165 trails, four terrain parks and endless tree skiing. And we didn’t even get to Howelsen Hill, the storied ski-jumping hill that rises right out of downtown. You’ll just have to see for yourself. Season’s best: The 400-vertical-foot Outlaw Mountain Coaster made its debut this fall and runs all winter long. Ride on. Plus the gondola got some significant upgrades, making the ride up the mountain smoother and faster. A few turns, a hamburger at the slopeside grill or a brown-bag lunch, and back to Glenwood Springs for a dip in the world’s largest hot-springs pool. If that sounds like your kind of winter weekend, Sunlight Mountain Resort, on the road to Aspen, is right up your alley. With just 700 mountain acres to manage, everything is easier—no lift lines, pricey tickets, parking hassles or separation anxiety. Bring the whole family, too, for affordable lessons and lodging deals that come with free skiing for kids 12 and under. Season’s best: Two lodging properties in nearby Carbondale have joined Sunlight’s popular Ski Swim Stay package. Other perks: more snow grooming and a Slope & Soak four-pack deal. Telluride will forever be defined by its natural drama. The ski resort overlooks a mining-made town enshrouded by an end-of-the-road box canyon, the likes of which will never be replicated. This secret stash in southwestern Colorado’s toothy San Juans is out of the way, keeping Telluride untouchably cool. Skiers travel here for a little taste of everything—off-the-charts hike-to skiing, balanced by beginner and intermediate terrain on more than half the mountain. For a splurge, the base area is filled with luxury lodging, and a mountain-to-town gondola delivers guests to the heart of downtown in a matter of minutes. Season’s best: Telluride marks its 45th year in operation with big snowmaking upgrades, a new 15-acre learning area and an exciting refurb at the resort’s largest, Peaks Hotel. There’s no way to talk about Vail without going big, sliding toward bombastic. The vastness and capacity of this landmark Colorado ski resort are almost unfathomable: 5,200 acres of wildly diverse terrain; seven skiing miles in seven different back bowls; the continent’s fastest 10-passenger gondola; and ski and snowboard instructors speaking 22 different languages. But it’s not just the mountain that ups the scale and the bar. 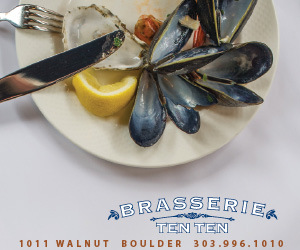 Vail’s endearing European-inspired village is like shopping on steroids, filled with memory-making culinary experiences and lodging that never holds back on the lavish. Season’s best: The six-passenger Northwoods Express lift on the mountain’s front side will decrease wait times, increase capacity, and help the flow of skiers and snowboarders to Vail’s back bowls and Blue Sky Basin area. One of the closest ski areas to the Front Range, Winter Park is the place most Colorado skiers were introduced to the snowsports lifestyle. Although immense in its offerings, the local darling has been a skiing tradition since 1940. Even with new capital investments, there’s no sign of losing the legacy. Winter Park is well known for its youth ski and snowboard learning and racing programs, as well as the outstanding National Ski Center for the Disabled. Even once you know your way around this massive mountain, featuring seven distinct territories and sister hill Mary Jane, there always seems to be more to explore. Season’s best: The Winter Park Express train is making an unprecedented 27 round-trips from Denver to the mountain this season. On the slopes, there’s a helpful new connector from the top of Zephyr Express Lift to the Mary Jane Trail, better adjoining the two mountains. Epically independent, Wolf Creek howls to its own snowy tune. This humble, snow-socked mountain is tucked in the southwestern section of the state, well away from urban corridors. Locals like it that way, and increasingly so do the visiting skiers who have uncovered this gem of a resort. Road-trip–worthy, low-density skiing at its finest, Wolf Creek features simple slopeside parking; reasonable lift tickets and grub; and lots of terrain range to keep things interesting. But book a long weekend; the nearest town, Pagosa Springs, is worth a charming stay and soothing soak. Season’s best: A cool new covered conveyor gives beginners a break and advanced skiers a ride to the Elma and Alberta lifts. Other helpful upgrades. Writer Julie Kailus plans to be snowboarding on the slopes for Thanksgiving and chasing her boys down black diamonds well into springtime.